to the homepage of the Melanoma Research Network (supported by the German Cancer Aid). 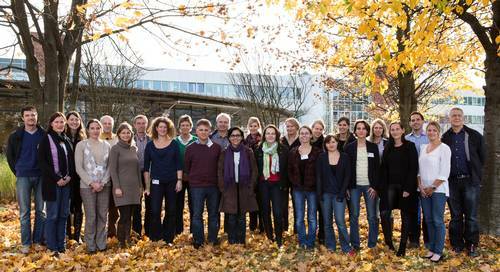 The network on "Molecular Mechanisms of Development and Progression of Malignant Melanoma" was initiated 2007 by Prof. Dr. Anja Katrin Bosserhoff, the coordinator of the network, and is funded since July 2008 by the German Cancer Aid. In July 2011 the second funding period began. By now it is built up of 13 projects, thereof three new ones, and five associated projects.The official funding of the German Cancer Aid ended in December 2014, but the network with its topics and contact persons is persisting.